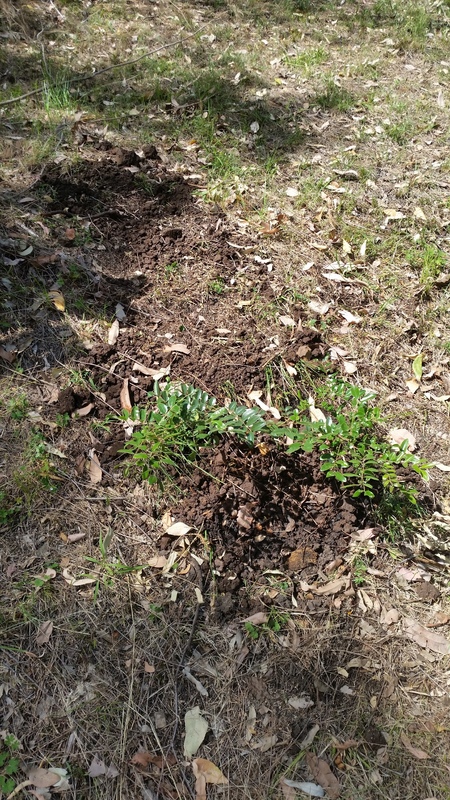 So today we dropped another large Jacaranda(Jacaranda mimosifolia) and did some planting to replace it and some other trees we have removed. Despite what many Australians think, Jacarandas are NOT a native tree. It is an exotic tree imported from South America that has become naturalised in some areas. There is no doubt Jacarandas are beautiful trees, and when they flower they are spectacular – especially in group plantings. But they are a pest here and removing all of them has been on our agenda since we got here. Today we dropped the big Jacaranda in South Park. We had lopped branches off this tree previously to open up South Park to a bit more sun. 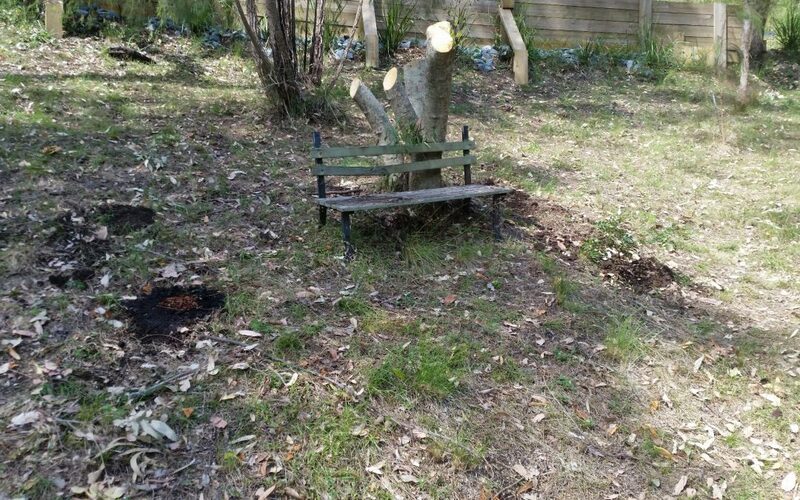 This was a big tree and as we have previously, we will be leaving the stump alive until other trees are established in the area. This is very important to us as an anti-erosion measure. The wood was reused in a few places. 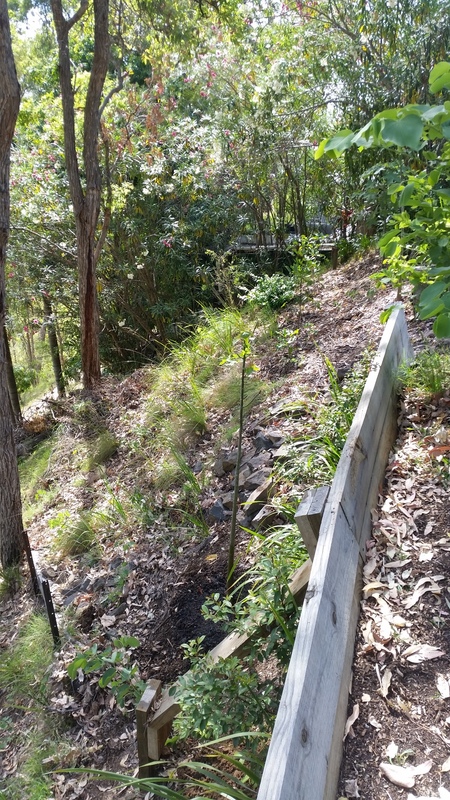 Large limbs were used to reinforce the hill below the containers by adding them to the swales that are already in place. Other bits will be left to dry and used as fire wood. In place of the Jacaranda we have planted two trees. A Cassia brewsterii and a Cassia marksiana. Both are large native flowering trees that are deciduous. These are pictured here. 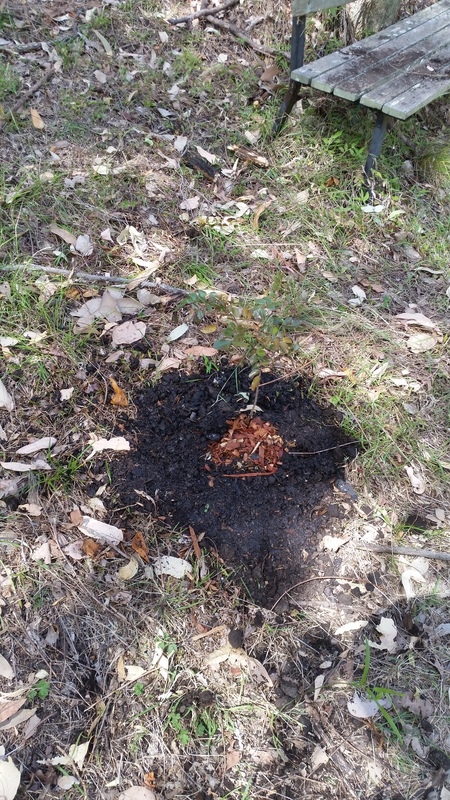 We also took the opportunity to plant one of the last Flame Trees(Brachychiton acerifolius) that replaced the Purple Orchid Trees(Bauhinia) – Another exotic flowering tree that we have removed. 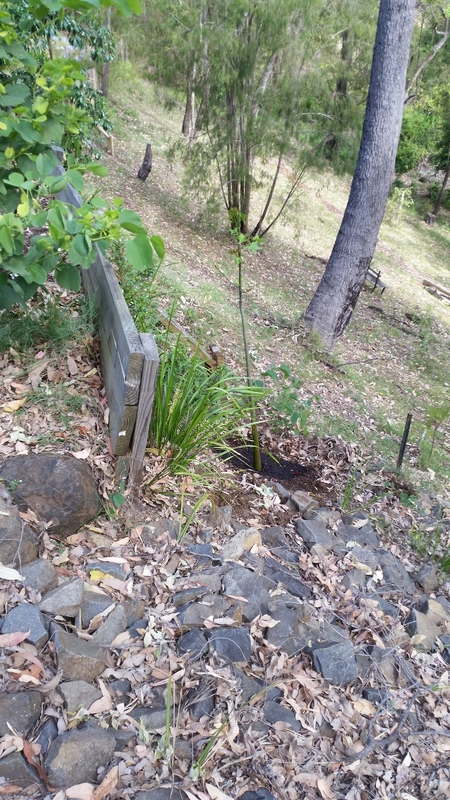 This one was the last in a line of 4 Flame Trees that will the view from the driveway – once fully grown.